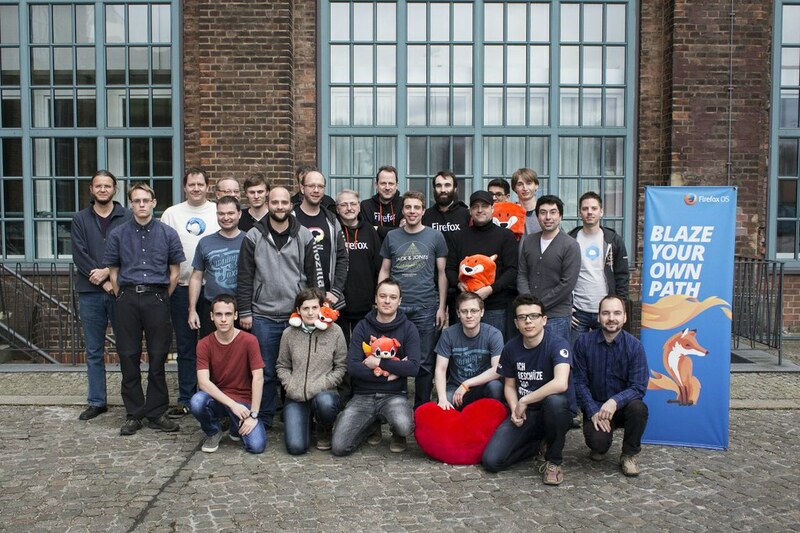 I had the pleasure to be invited to the annual Mozilla german speaking community meetup in Berlin this year. Although I am based in Albania and not in Germany, Austria or Switzerland; I contribute from time to time also to the German community, having helped out for the Firefox 10h Anniversary campaign and various other stuff (Firefox has a market share of almost 50% in Germany!). As I grew up in Germany, I am quite familiar with the culture and speak the language also fluently. However I am most of the time unable to put my German into good use in Albania, for obvious reasons, so it always feels good to practice it. This was my first time in Berlin and my first time in Germany in almost 4 years. I never visited a Mozilla office before either, so I was really excited for the meetup this year. Disclaimer: This is a short summary from everything which happened during the community meetup. I am including here Michael Kohler’s notes from his blog, simply due to laziness. Kudos to Mexikohler for being so awesome! Check out his blog for the German version also. 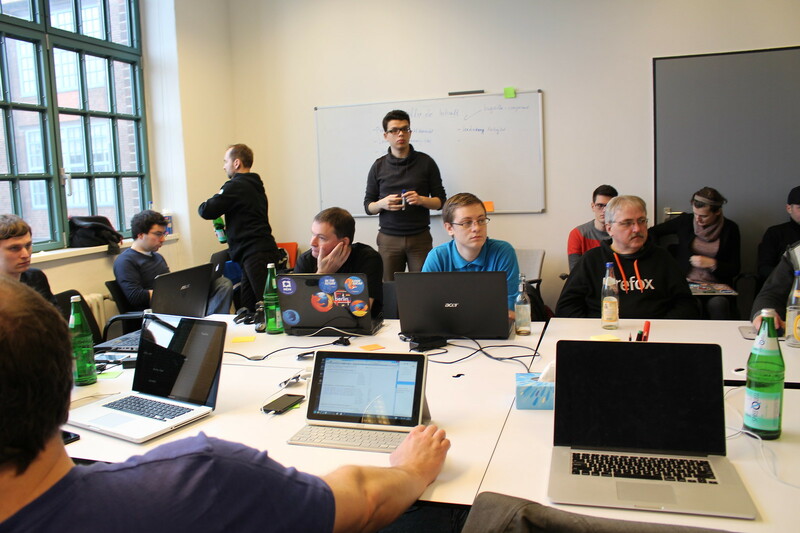 The meetup was held on February 20 to February 22 2015. To facilitate the coordination between all volunteers and staff living/working in the German speaking countries (Germany, Austria, Switzerland) we meet once a year to discuss any topics, plans and goals for the year. Further it’s important to meet regularly to have certain discussions in person since these are faster and more efficient. In total 27 persons attended this meetup. On Saturday we started the first official day at 10am. We began the meetup with a short introduction round since not all of the attendees knew each other. 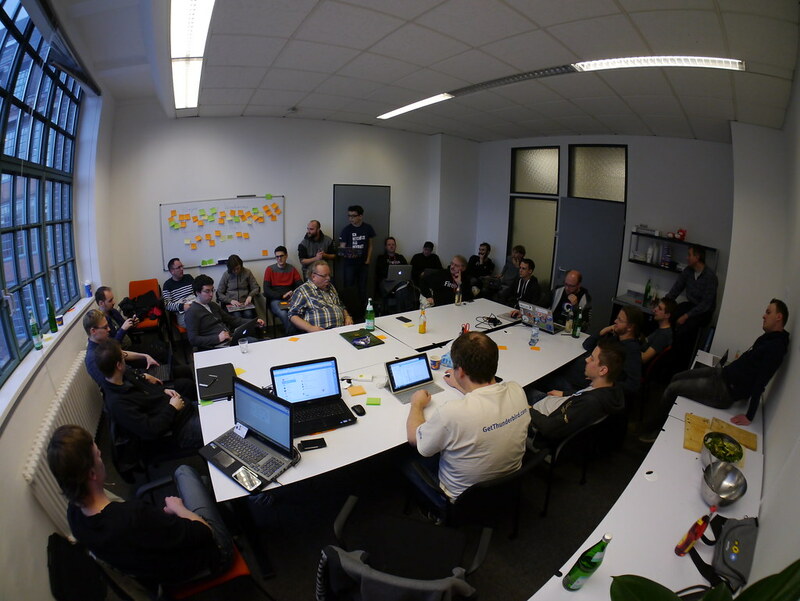 It was nice to see that from all around the Mozilla projects people came to Berlin to discuss and plan the future. After that Brian introduced us to Mozilla’s goals and plans for 2015. Firefox (more focus on Desktop this year), Firefox OS (user driven strategy), Content Services (differentiate income) and Webmaker were the focus. To reach our goals for the community we also need to know about Mozilla’s overall goals so we can align them. To know where we currently stand with our community, we did a “SWOT” analysis (Strength, Weaknesses, Opportunities, Threats). We splitted up in different groups to discuss group-specific topics and report back to everybody. We had “Localization”, “Developer Engagement / Programming”, “Community Building” and “Websites”. We discussed the first outcomes of the groups together. Please refer to day 2 to see the results. 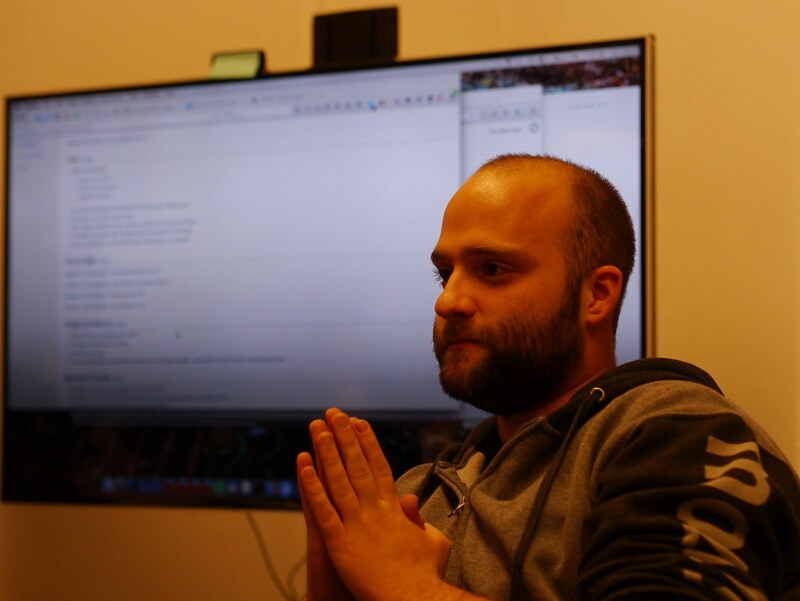 Markus, a local developer from Berlin, came by on Saturday. He’d like to organize regular events in Berlin to increase the presence of Mozilla in the city and to build a local community. We like this idea and will support him in 2015! After the group discussions Brian had further information: Participation. Please refer to Mark Surman’s blogpost to get more information about that. At the end of the official part of the day we had a discussion about the “Community Tile”. When you open a new tab in a new Firefox profile you’ll see an overview of different sites you can visit. One of these links is reserved for the community. We discussed our proposal and came to the conclusion that we should focus to tell everyone what the German speaking community does and especially that there are local people working on Mozilla projects. Want to see who was there? See for yourself! You can find all pictures of the meetup on flickr. 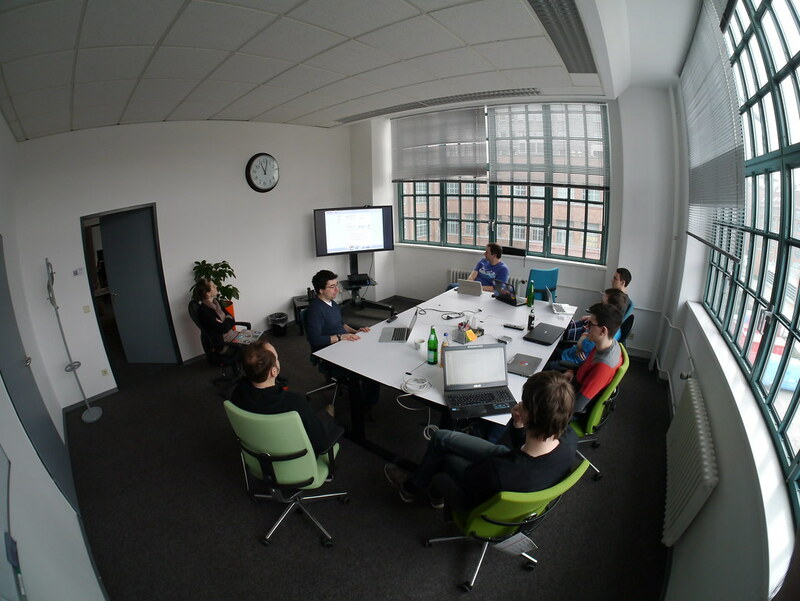 On Sunday we once again started at 10am at the Berlin Office. At first we had the same breakout groups again, this time to evaluate goals for 2015. After that we discussed those together with the whole group and decided on goals. The l10n group has worked out a few points. First they updated multiple wiki pages. Second they discussed several other topics. You can find the overview of topics here. SUMO has done an introduction into the new tools. Further they decided on a few goals. In the community building group we talked about different topics. For example we looked at what’s working now and what’s not. Further we talked about Firefox Student Ambassadors and recognition. You can find the overview here. All German Mozilla sites are currently hosted by Kadir. Since Kadir doesn’t have enough time to support them, the goal is to move them to Community IT. This was agreen upon at the community meetup. You can find the relevant bug here. All these plans and goals are summarized in our Trello board. All German speaking community members can self-assign a task and work on it. With this board we want to track and work on all our plans. After that we discussed what features should be on the mozilla.de website. In general, all the content will be updated. At the end we talked about our weekly meeting and drafted a proposal how to make it more efficient. The following changes will be done once everything is clear (we’re discussing this on the mailing list). Until then everything stays the same. I’d like to thank all attendees who participated in very informative and constructive discussions during the weekend. I think that we have a lot to do in 2015. If we can save the motivation from this meetup and work on our defined plans and goals, we’ll have a very successful year. You can find all pictures of the meetup on flickr.